You can’t deny the power of a good truck. This is South Texas, after all! And whether your truck is for work or for play, you’ll want to get it right the first time. Before you hit the dealership in search of the truck of your dreams, there are a few things to sort out. First and foremost, what exactly are you looking for? What you’ll be using your truck for will play a large role in which truck is best for you. How much power do you need? Size and fuel economy both play a role in what kind of engine will suffice. If you’ll be using your truck to haul heavy loads, opt for a powerful V8 engine. If easy driving in a compact truck is what you’re looking for, a V4 engine may do just fine. As with any vehicle, safety features are important. Some of today’s trucks come with more than ever before. From blind spot warning systems, to automatic braking and lane departure warnings, good driving and high-tech safety are your best lines of defense against an accident. What are your plans for your new truck? Evaluating cab and bed size are important for planning ahead. If you plan on driving your family around, a larger cab size is a wise idea. If your new truck is purely for hauling and towing, a large bed will ensure you’re ready for whatever lies ahead. Pay close attention to the specs when deciding which Truck is right for you. Are you a fan of manual or automatic? The best choice for you will depend on the driving conditions you plan on navigating. If you’re the type of driver who spends plenty of time in traffic, an automatic transmission may be your best bet. On the flip side, a manual transmission can help improve your control over your engine. Although manual transmissions aren’t as effective for towing, they can certainly make for a funner ride. Not sure where to begin? Our team of skilled sales professionals can help! Visit one of our local Ed Payne dealerships to view our latest selection of Ford, Chevy and GMC trucks, plus so much more! 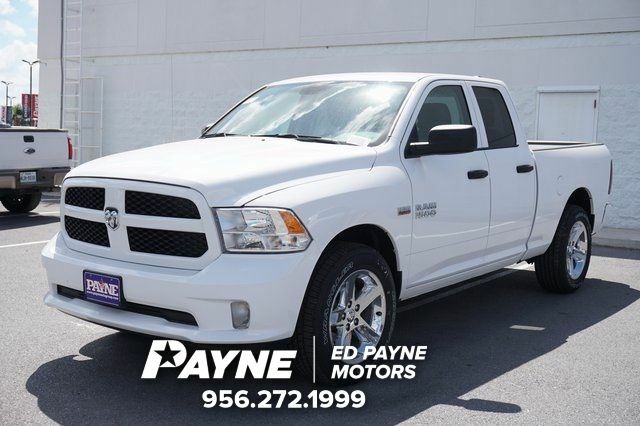 Our South Texas auto dealerships are filled with a wide variety of new and used models, so you can be sure when you visit Ed Payne, you’ll find just what you’re looking for. 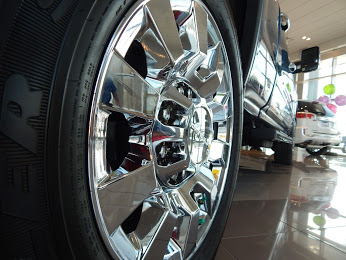 Stop on by and visit one of our Rio Grande Valley Dodge or GMC dealerships today! If you live in Texas, it’s likely that you take your trucks seriously. And we don’t blame you! A heavy-duty truck is ideal for navigating South Texas terrain. And when you want power plus luxury, the 2017 Chevy Silverado Redline Edition is it. Named “Redline” for the red lines found throughout, this heavy-duty truck is one that combines performance with sleek, intuitive design. 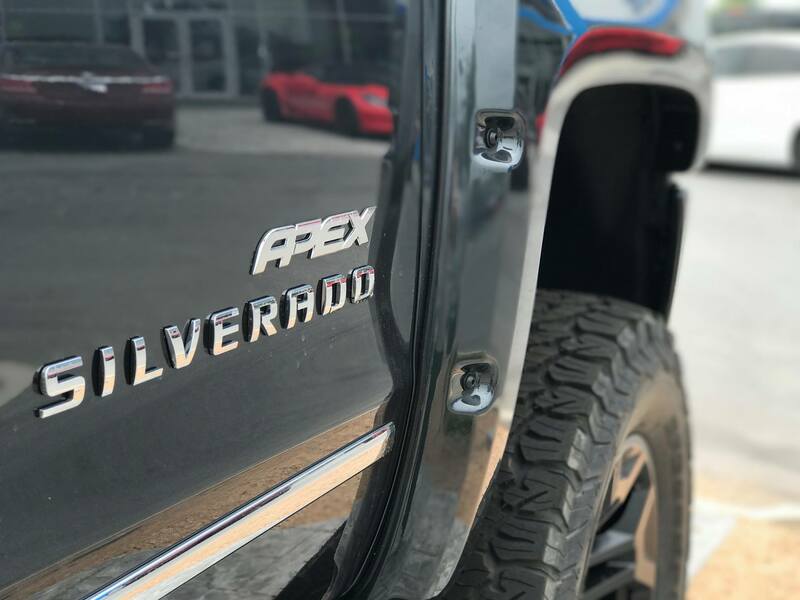 Apart from a wide range of upgraded tech and safety features, this full-size Silverado boasts additional off-road abilities perfect for a wild time. And a striking appearance package to appease the most rugged drivers. 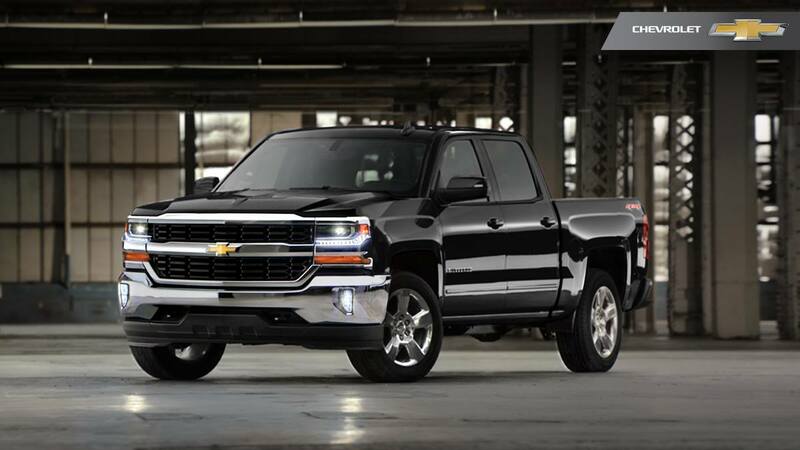 The Silverado Redline Edition is Chevrolet’s answer to competitors like the Ford F-150, Ram 1500 and Toyota Tundra. This one packs plenty of power, courtesy of a 6.2-liter V8 primed for adventure. And when it comes to the Redline, you’ve definitely got options. The 6.2-liter V8 Ecotec package contains sport assist steps, a spray-on bedliner, front and rear black Bowties, and 20-inch black aluminum wheels, to name a few. With a power sunroof and driver alert packages to add on at your disposal, there’s no chance the Redline will be everything you’d hoped for in a rough, rugged Texas truck. Trucks like the Silverado Redline have reaffirmed the position that utility trucks are a thing of the past. These days, truck drivers want style in addition to performance. Chevrolet spared no expense in ensuring the Redline Edition delivers, time and time again. 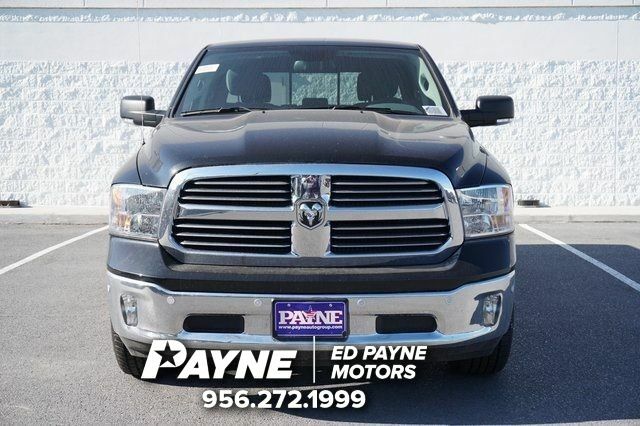 Stop by your nearby Payne dealership to view our wide selection of new and used cars and trucks. There’s something for every kind of driver in our inventory, including those who want a sleek, smooth ride. You can also schedule an appointment with our Service Department to make sure your 2017 Chevy Silverado Redline Edition is ready to dominate, always. South Texas takes its trucks seriously. When it’s power you crave, you can’t go wrong with a Ram. Our Ram trucks sit at the height of durability, and whether you’re looking for style or comfort, Ram’s got you covered. Capable of handling any load you carry, the 2017 1500 is a truck for the ages, and one that will fit perfectly among those bustling South Texas streets. From stellar looks to powerful performance, you’ll find all that plus more in our ultra-spacious Ram 1500 trucks. Furthermore, the 2017 Ram 1500 is backed by a 5-Year/100,000-Mile Diesel Powertrain Limited Warranty for diesel-powered vehicles, and a 5-Year/60,000-Mile Gas Powertrain Limited Warranty for gas-powered models. How’s that for assurance? When it comes to performance, you’ll have to look hard for a truck that does more than Ram. Additionally, these trucks embody the pinnacle of capability, and you’d be hard pressed to find a job they can’t do. From the RamBox Cargo Management System, to wheel-to-wheel side steps and remote keyless entry — all aspects of the 2017 Ram 1500 have been carefully selected to make for an unsurpassed ride. Whether you’re a hunter, a fisherman or just someone who enjoys a casual cruise, Ram is the truck for you. Ram, like all of the vehicles we carry at Payne, places an emphasis on safety. Safety and comfort are our top priority, and the 2017 Ram 1500 covers all the bases, plus more. Some safety features you’ll find include electronic stability control, lane departure warning and an abundance of airbags throughout. Are you ready to take a test drive in the Ram 1500 today? Our Payne auto dealerships are home to a wide selection of stunning cars and trucks. 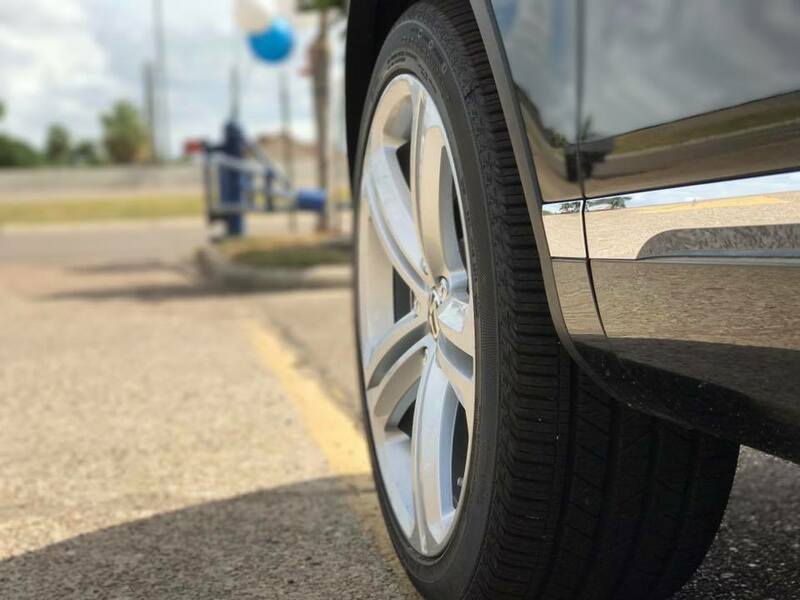 Whether you’re shopping new or used, you’re guaranteed to find just what you’re looking for when you visit one of our South Texas car dealerships. Try your hand at a sporty Chevy Camaro, or opt for power when you try a Ram truck. There’s no shortage of incredible vehicles to choose from when you’re shopping at Payne Auto dealerships. So call us to schedule a test drive today! So, you’ve just purchased a new truck. Nothing says power like a heavy-duty truck, and while your new ride is certainly capable of plenty, a few add-ons can’t hurt. You want your truck to reflect your personality, and whether it’s an extra hint of function or luxury you’ve got your eye on, there’s something available just for you. Luckily, there are plenty of Chevrolet truck accessories that can improve both the look and feel of your shiny new ride. Whether it’s more storage, or a protectant against the elements that you’re hunting for, don’t settle for anything less than the best. Here are a few awesome Chevrolet truck accessories you may want to consider once you get comfortable in your new ride. Grille guards protect your truck’s front end while keeping scratches in check, giving it a heavy-duty look ideal for driving in South Texas. They also provide low-speed pushing power to your truck’s front end. Trucks are great for storage, but we can’t possibly blame you if you’re looking for something extra. Consider a tool or storage box to keep your equipment secure as you drive. Today’s waterproof designs ensure they’re safe and sound, wherever you go. A lot of people choose trucks for their towing capabilities. Make this easier on your truck with a ladder or ramp. Perfect for harsh weather, tonneau covers can help keep rain, snow and other debris out of your truck bed as you drive. You may be able to get in and out of your Chevrolet truck easily, but can your passengers? Consider a step bar to give your guests a little boost. We hope you love your new Chevrolet truck. Heck, we know you do! If you haven’t yet purchased one, stop by one our Ed Payne Rio Grande Valley dealerships to check out our wide selection. We’ve got brand new models from brands like Ford, Chevrolet, GMC, Dodge and so much more. Stop by and visit us today! In the realm of trucks, towing capacity is everything. But did you know there’s a right way and a wrong way to tow? Here are a few dos and don’t for towing in your new truck. All trucks have different towing capabilities. You should definitely consult your owner’s manual before tacking any particularly heavy duty towing jobs. Make sure all of your trailer’s parts are secure and intact, or you could be in for a world of trouble if things fall apart as you drive. Better safe than sorry! When loading your cargo, make sure it’s distributed evenly. This will make the trip easier on your tires, and your vehicle in general. Backing up in a truck with a trailer can present a challenge for even for the most seasoned drivers. Your trailer will steer in the opposite direction of your vehicle. Take this into account when you drive. Don’t attempt to tow if your tires aren’t fully inflated. Avoid slamming on the brakes while you are driving, or tailgate or speed while you are towing. Don’t try to tow more than your truck can handle. Don’t pack your trailer unevenly. Follow these do’s and don’ts and you’ll be ready for towing in no time. 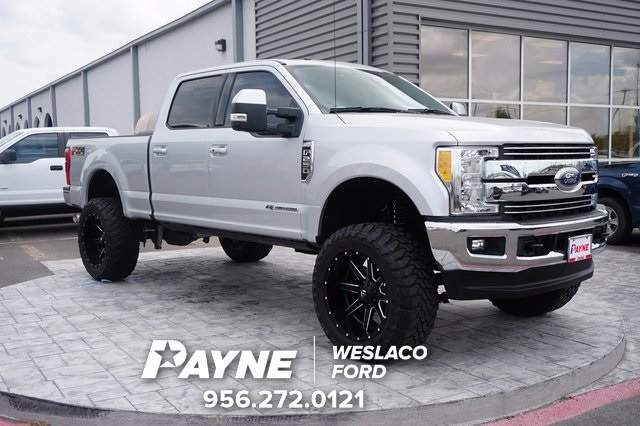 Additionally, if you’re looking for a shiny new truck to do it in, stop by one of our Payne dealerships, located conveniently throughout the Rio Grande Valley. Whether you’re in Weslaco, McAllen, Edinburg or Rio Grande City, our Payne car dealerships have a wide selection of models to choose from. With us, you’re sure to find just what you’ve been looking for. Schedule a test drive with us today! Purchasing a vehicle is a huge decision, and when you’re going used, the stakes are even higher. Most car lots will tout themselves as reputable sources for used automobiles, and for the most part, this may be true. But how can you be really sure that what you’re getting has undergone the thorough inspection it should? At Payne Auto Group, for instance, our used vehicles undergo an intense certification program to ensure your used vehicle can be as reliable as our new vehicles. This is our guarantee! Here are a few tests our certified pre-owned vehicles go through to ensure they’re good enough to take you on the road. In addition to our through inspection, certified vehicles also come with a CARFAX Vehicle History Report, which serves as proof that the vehicle is clear of any prior title obligations. Its Buyback Guarantee also protects drivers from unknowingly purchasing a vehicle with a DMV-reported issue. And with Car Rental Allowance and Roadside Coverage with each of our Certified Pre Owned vehicles, you can be sure you’ll be covered in the event of an emergency. This is our promise to you. Are you ready to shop our selection of certified pre owned vehicles? We’ve got plenty! Stop by one of our Rio Grande Valley dealerships to view our wide selection of used vehicles. 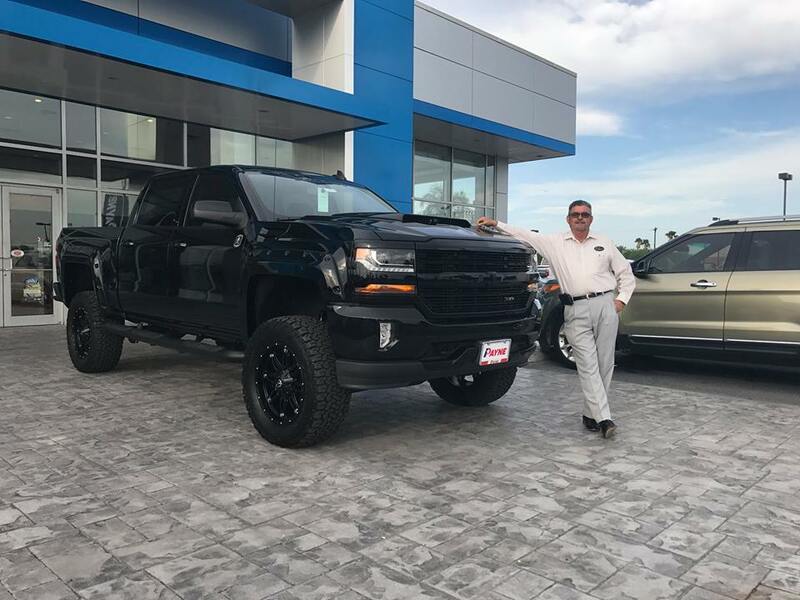 From Ford, to Chevrolet and Fiat in between, our Mission, McAllen, Brownsville and Weslaco dealerships have a stunning collection of cars and trucks to choose from. Call or drop by to take a test drive today! Ford trucks are synonymous with power. When it comes to luxury, you can’t go wrong with a Lariat. You may have come across the Ford Lariat series, and are wondering if it’s the right truck for you. Before you make this important decision, there are a few things you should know about the Lariat, and how it can make your driving experience that much more enjoyable. The Ford Lariat is just one part of Ford’s full-size F-series trucks, which includes the F-150, and models like the F-250, F-350 and F-450. The Lariat, introduced in 1978, was intended to add a bit of luxury to these rough and rugged trucks, which are more popular than ever. Its features were upgraded within just a few years of its launch, from a simple swap of headlights, to a plush interior, optional power windows, and a number of others. Additionally, the Lariat edition boasts a number of innovative safety features for optimal reliability. All of these combine to create a truck that strikes a fine balance between luxury and ruggedness. Are you interested in a Ford Lariat edition? Guess what! Ed Payne’s got ’em! Stop on by one of our McAllen, Weslaco, Rio Grande City or Mission auto dealerships. Here you’ll get the opportunity to view our wide selection of sleek Lariat editions, plus so much more. Super-Duty Ford Trucks: Getting to Know your Ford! Drivers choose trucks for their power and performance, but that’s not to say that storage doesn’t play a major role as well. Rough, rugged and durable, our vast selection of trucks are able to handle whatever the road throws your way. And that goes double duty for our Ford trucks! 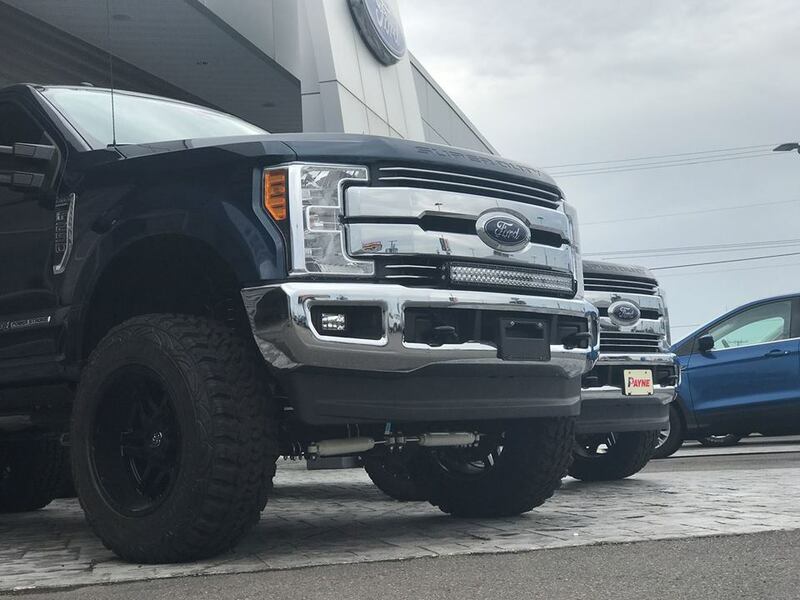 There is no shortage of fierce features to be found in our Ford trucks. If you’ve recently purchased one of our Ford trucks, we’d like you to get to know your vehicle. Whether you’re looking for ample storage space, or a crisp, lush interior, these Ford trucks have it all. Here are some of the hidden storage spaces you’ll find in your new Super-Duty Ford truck. Are you searching for a new or used truck? Your local Ed Payne dealership’s got ’em, plus so much more! Stop by one of our McAllen, Mission, Weslaco or Rio Grande City car dealerships to view our latest selection. 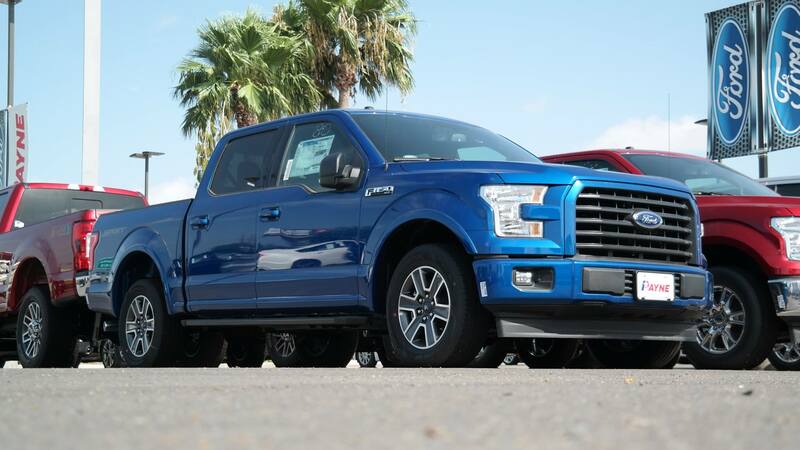 Our wide range of Ford trucks is ideal for navigating the South Texas terrain. Whether you’re a driver who enjoys the great outdoors, or one looking for a luxurious ride, you’ll find it all in our Ford trucks. And if it’s service you need, we can help with that, too! Call us to schedule an appointment with our service department, where our skilled mechanics have you covered. From tire rotations, to oil changes and wiper replacement, we do it all. Extended vs Crew Cab: What’s the Difference? You’re in the market for a new or used truck, but between extended cabs, regular cabs and crew cabs, which will you choose? In order to make the best possible choice for you and your family, you’ll need to know the different types of cabs, and how they can impact your drive. Here’s the difference between an extended cab and a crew cab. When it comes to trucks, size is everything. The best truck for you is dependent upon several factors, including your passengers. The back seats found in extended cab pickups may not be sufficient if you frequently carry passengers. If you’ve got family in mind, a crew cab may be your best bet. If you’re utilizing your truck for just a little extra storage space, an extended cab is a great option. Cost is another important factor when deciding between a crew cab and extended cab. Extended cab pickups can be thousands of dollars less than their crew cab counterparts, though this is often offset by a crew cab’s larger resale value. These are just a few things to consider when shopping for your next new or used truck. Got questions? We’ve got answers! Visit your local Payne dealership to view our wide selection of new and used vehicles.